Giant and Shell are teaming up to save you money. Use your Giant card every time you shop. 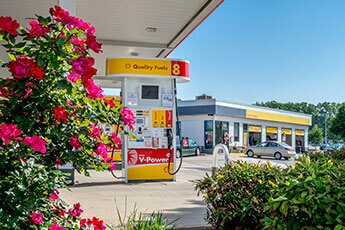 For every $1 spent on eligible purchases at Giant, earn 1 point toward Giant Gas Rewards. For every 100 Giant Gas Rewards points earned, you will receive 10 centrs per gallon off on your next purchase at participating Shell stations, up to 35 gallons of fuel per purchase. Points are good for up to 30 days from the day they are earned. Your date of purchase is day 1. Check your points total on your Giant receipt. To check your points balance online and receive exclusive offers, log into or create a Giant online account at www.giantfood.com. For questions regarding the Giant card or Giant Gas Rewards points earned, visit the Customer Service Desk in-store, call 1-877-366-2668, Monday through Friday from 8:30 am to 5:00 pm or visit www.giantfood.com.